A fast easy snack perfect for any preworkout! Warm up a whole wheat pita in the microwave for 15 to 20 seconds. 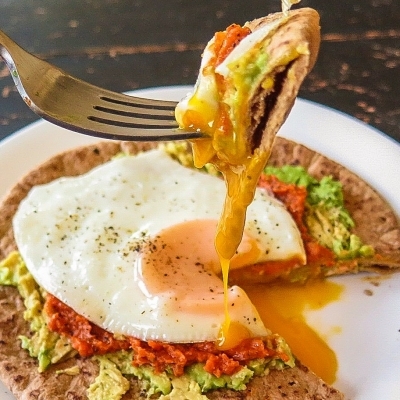 Mash a 1/4 of an avocado and top with a poached or fried egg. Season with salt, pepper, garlic, and spices. Enjoy!